We are pleased to welcome Charles Haseman as a new mentor! 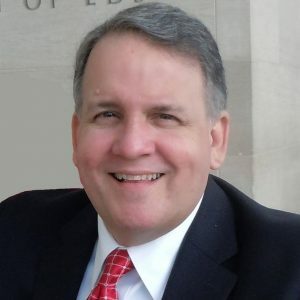 Charles Haseman brings over 35 years of experience in management, strategic planning, operational analysis, and problem solving to the consumer facing business world. He has extensive leadership experience in marketing, consulting, information technology projects, maintenance and service, and retail store operations. This leadership expertise crosses multiple business capabilities from sales management, to customer service, to inventory control, to payroll and administrative systems. He has led multiple large-scale projects, directly impacting the success of his Retail and Consumer Product Goods clients. His most recent assignment was with NEC as the Sales Director of Retail Solutions. Prior to his move to NEC, he was Principal and COO at Proterra with all daily operations including advertising, marketing, sales, customer service, tax planning, accounting and payroll, budgeting, and staffing. As Client Partner for Retail with Syntel Inc. for five years Charles was responsible for overall business, sales, and marketing with P&L responsibility for multiple retail clients. Previously, he spent seven years as the Vice President/Client Industry Executive (CIE) for EDS’ Global Industry Group, providing strategic leadership and subject matter expertise to multiple existing and potential clients in the Consumer Product Goods (CPG) and Retail sectors. He managed design, development, implementation, and integration of systems and applications. His global assignments included North and South America as well as ASIA – Malaysia, Thailand, Hong Kong, and Japan. His clients included Office Depot, Home Depot, Belk, 7-Eleven, AEON/Jusco, Best Buy, Claire’s, DelMonte, Dial, General Motors, Grupo Bimbo & Bimbo Bakeries USA, McDonald’s Argentina, Arcos Dorados, Femsa and Panamco. Charles has also worked for Dimensions Micro, Inc., where he served as Executive Vice President and COO. Additionally, Chuck spent over 20 years at Zale Corporation, working in IT and Store Operations for the corporation’s 1160 retail jewelry locations, manufacturing and distribution facilities. Charles holds a Bachelor of Science in Business Administration from Regis University, Denver, CO and a Masters in Engineering Management from Southern Methodist University, Dallas, TX. He completed post masters work on Strategy and IT Transformation at London Business School, London, England.